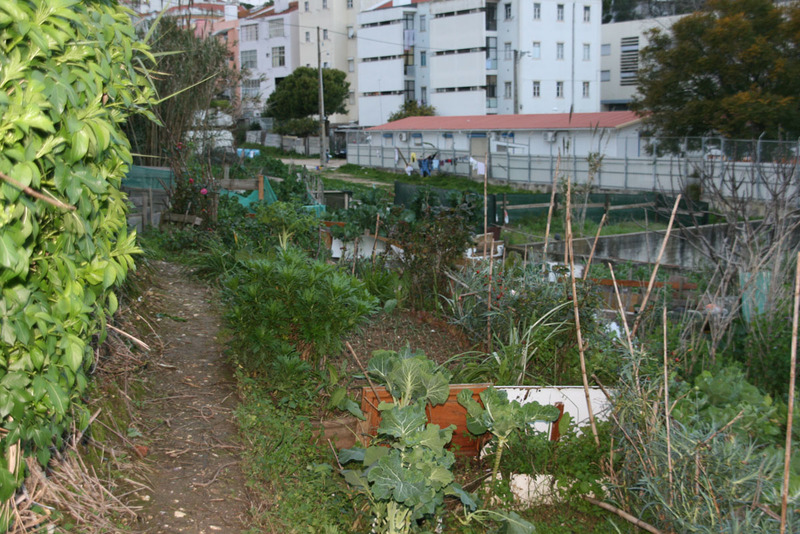 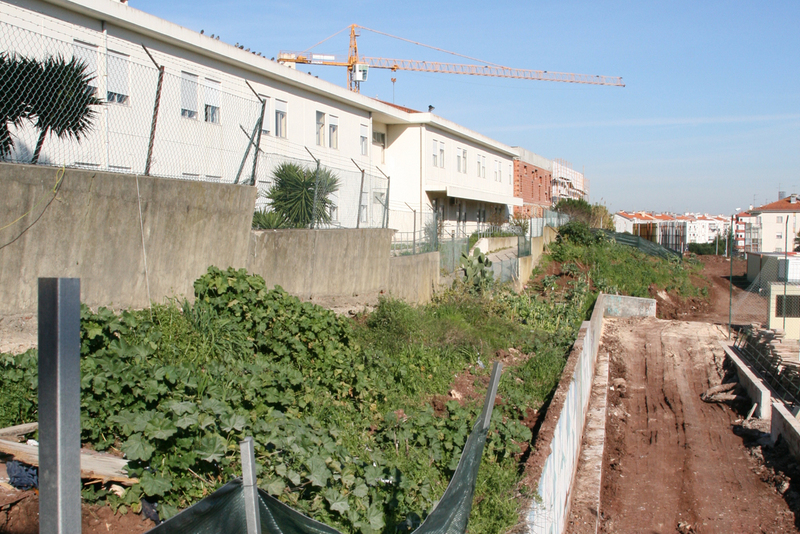 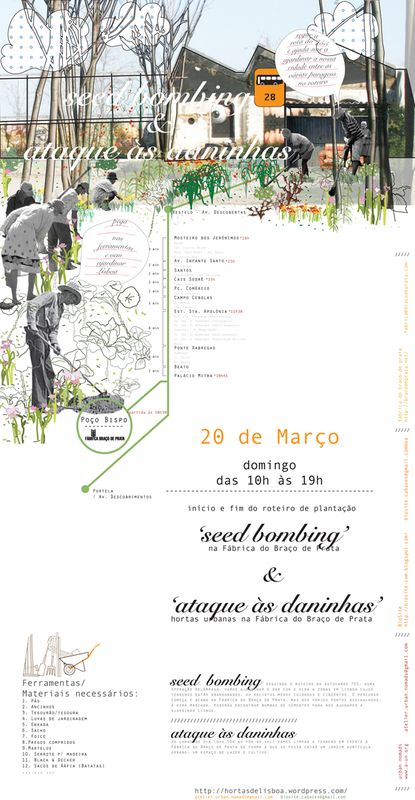 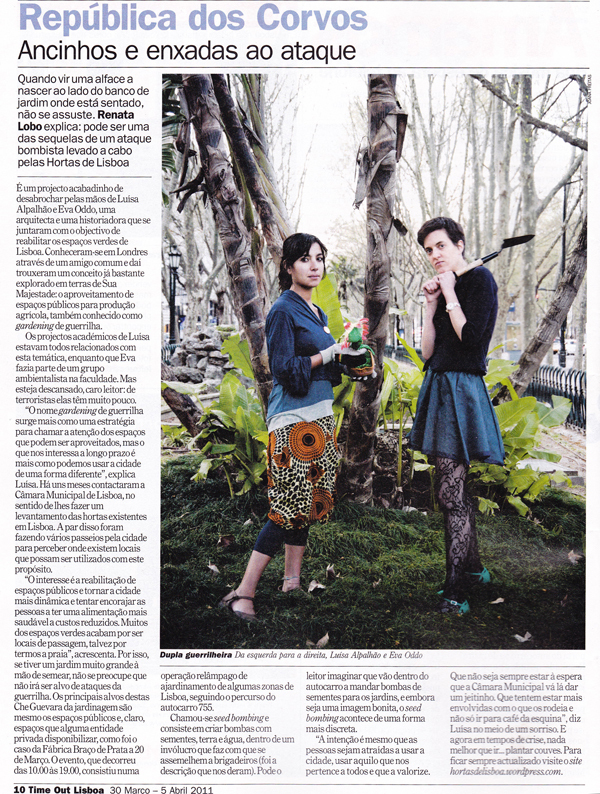 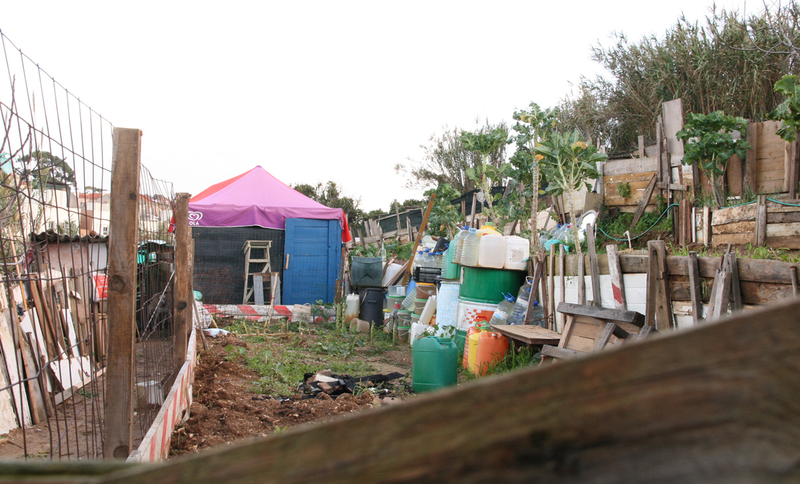 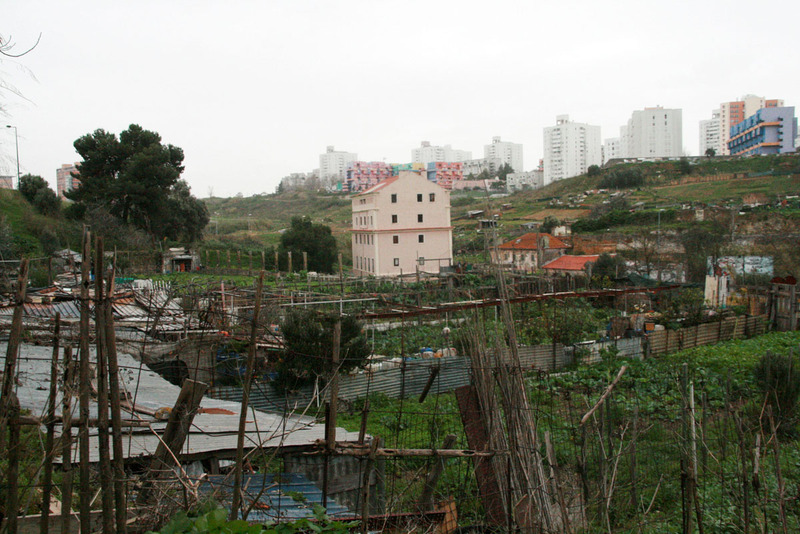 [ hortas de lisboa ] is a long term ongoing research project about the urban allotments in, and around, Lisbon. 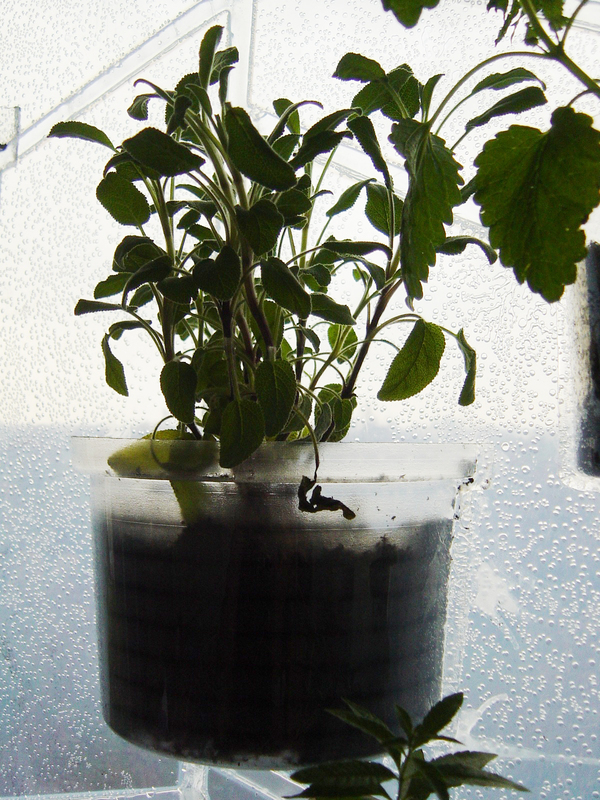 It has been programmed in 3 stages: 1_ Research; 2_ Participation; 3_ Knowledge share. 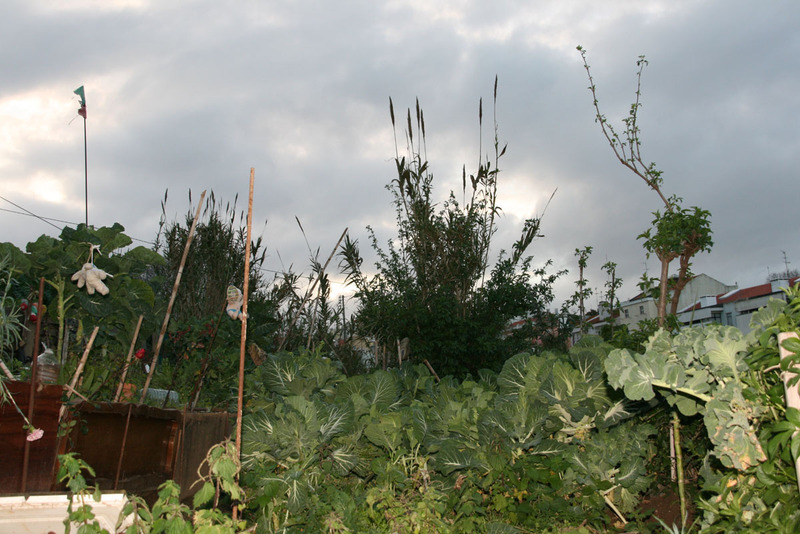 All stages are interlinked and run in parallel to each other. 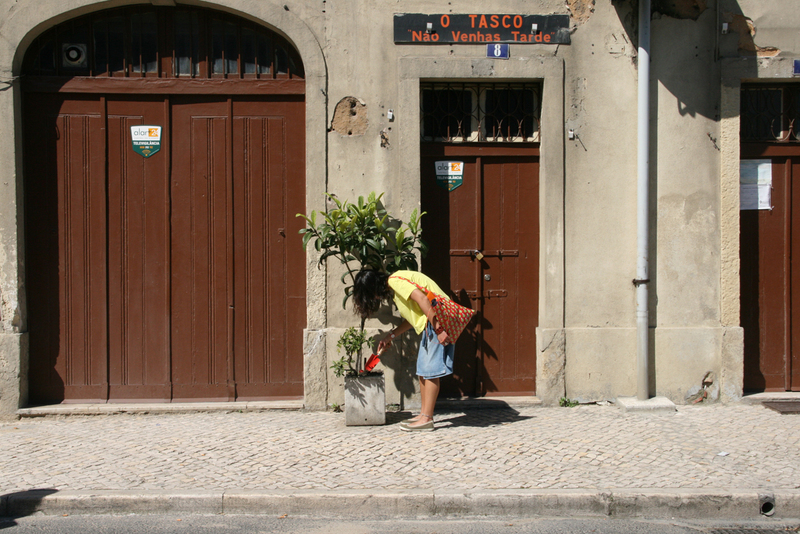 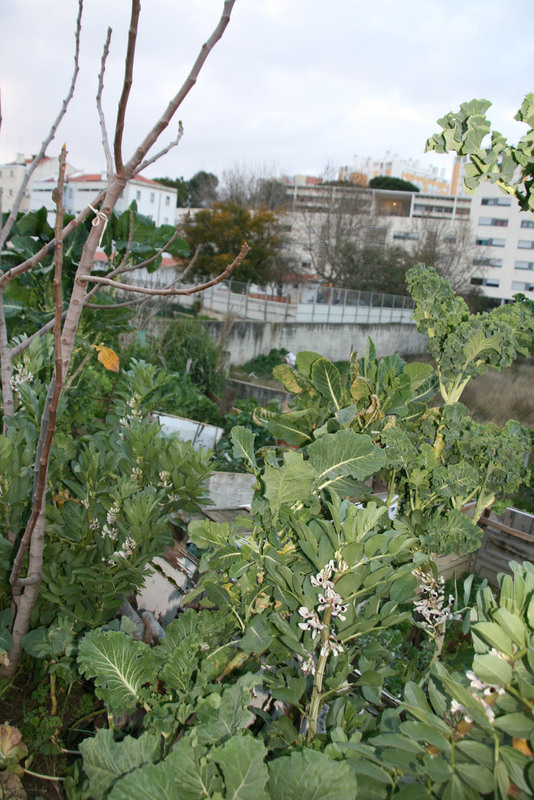 Lisbon, like most capital cities, has several derelict land niches that have been occupied by local people to grow edible plants. 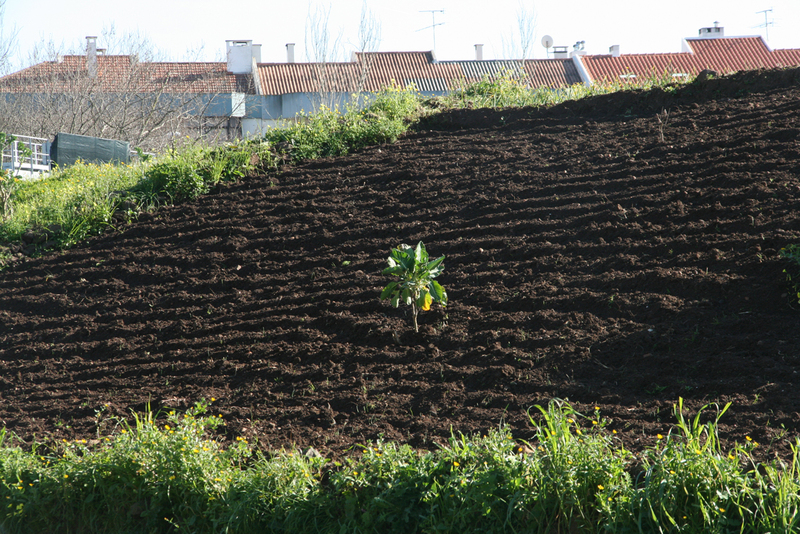 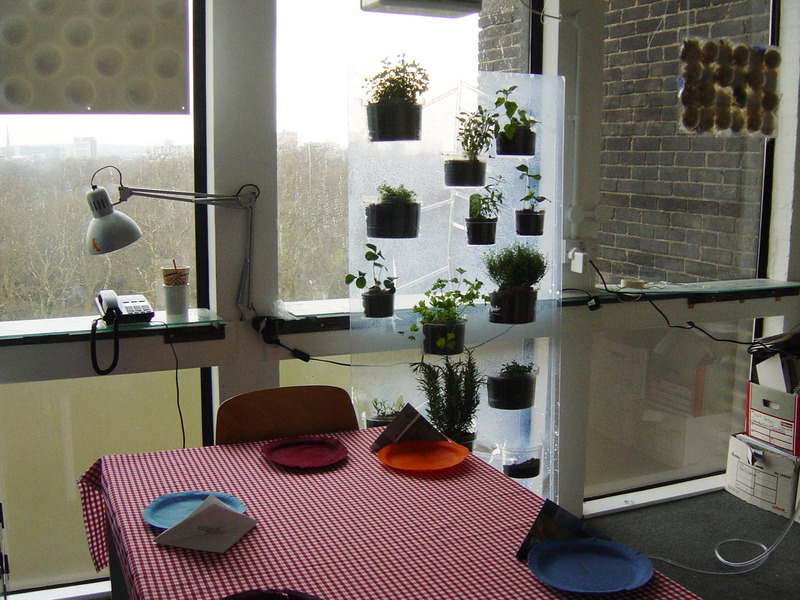 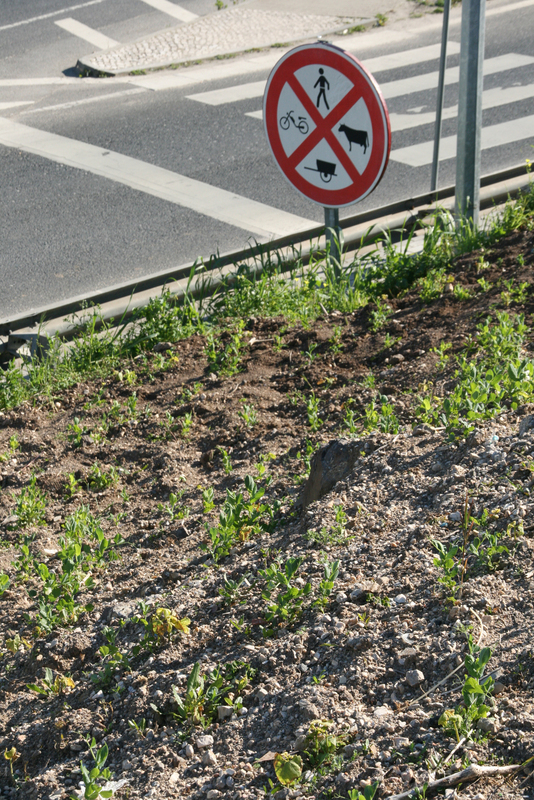 Our project aims to investigate why those particular spots have been chosen for food growth, what kind of products are planted, who chooses to grow food in these urban niches as well as the conditions for food growing in an urban context. 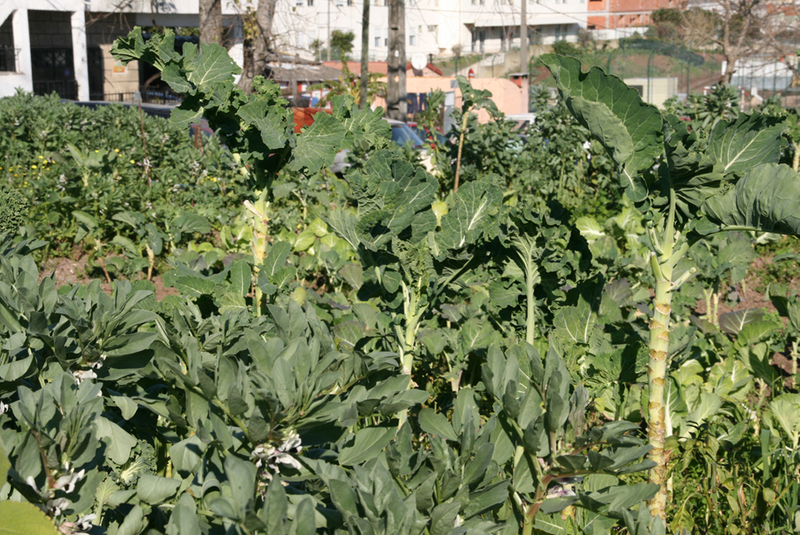 This part of the research is linked with the aim to create a network of contacts and knowledge on sustainable food growth in urban settings, to establish direct contact between elderly people with food cultivation knowledge and schools/children. 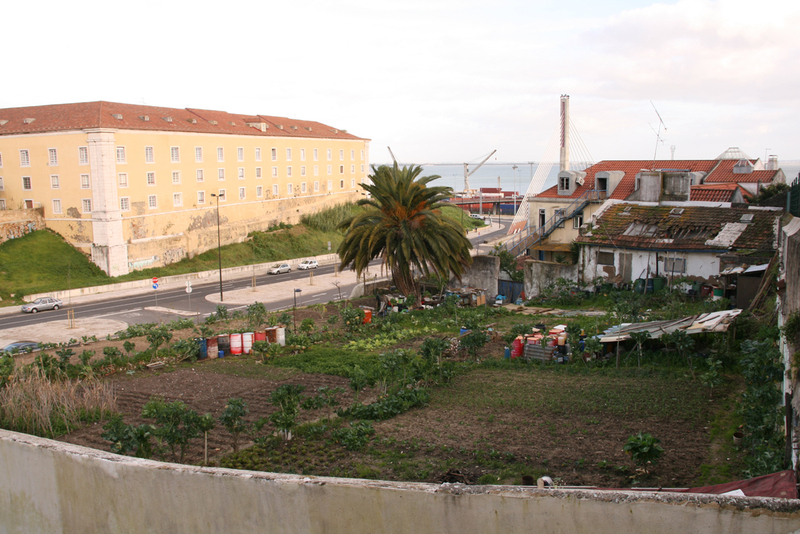 In these ways we aim to contribute to a sustainable use of derelict urban spaces with social, cultural and agricultural potential in Lisbon as well as to the development of a sustainable multi-cultural society where knowledge, experience and traditions brought from different countries can come together in the backyard of a café, or by the neighbours’ front door.